MAXSURF for all prepaid users with flexible volume-based bandwidth limits.This mean you only use the kilobytes (KB) loaded for each webpage you browse regardless of how long you stay on the page, allowing you to extend your surfing days. 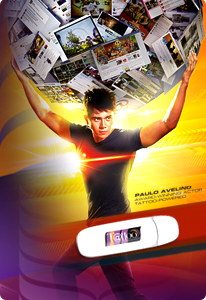 Starting at MAXSURF100 for only P100, it lets you surf up to 700MB for 3 days with your Tattoo Prepaid stick. If you need more volume then, check out MAXSURF170 & MAXSURF500 for longer days of usage. What you can enjoy with 700MB?